TCJA Depreciation and Other Deduction Changes - Ryan & Wetmore, P.C. Under the old tax law, bonus depreciation was limited to 50% of the asset purchase price. The new provision also allows bonus depreciation to be applied to both new and used property. Moreover, prior bonus depreciation rules were limited to new purchases only. This new provision allows contractors immediate cost recovery on equipment purchases in the year of purchase. The chart below shows the phase-out of bonus depreciation under the new provision. 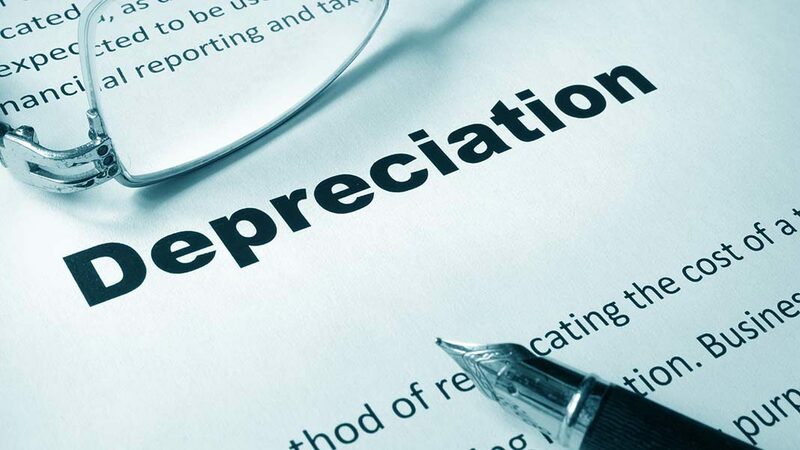 Not only did the Tax Cuts and Jobs Act provide 100% bonus depreciation, it also increased the limitation for section 179 deduction on new or used purchases. The new tax law increased the 179 deduction limit to $1,000,000 and the investment phase-out threshold to $2,500,000. This compared to the old tax law deduction limitation of $510,000 in 2017 and $2,030,000 phase-out threshold. The section 179 increases are effective for property placed in service after December 31, 2017. A second key change in the tax bill is the new Section 199A pass-through entity deduction. For tax years starting after December 31, 2017, a 20% deduction will be allowed for taxpayers who have qualified business income from an S-Corporation, Partnership or Sole Proprietor, subject to limitations. The 20% pass-through deduction is limited to the lesser of 20% of their pass-through business income or the greater of the following two options – Option A is 50% of his/her share of W-2 Wages paid with respect to qualified business income and Option B is the sum of 25% of his/her share of W-2 Wages plus 2.5% of the unadjusted basis of qualified property. The wages or wages plus capital limitation do not apply to taxpayers with taxable incomes below $315,000 (joint filers) or $157,500 (other filers). Taxpayers eligible to claim the full 20% deduction on qualified business income will incur a maximum effective tax rate of 29.6% on qualified business income. Another currently active change is an increase in the exempt amount for small contractors. Previously, companies with gross receipts under $10 million were exempt from using the percentage of completion method for recognizing taxable income on long-term construction contracts. Starting 2018, this exemption amount has been increased to $25 million. Also note that long-term construction contracts that started prior to December 31st, 2017 and all commercial contracts regardless of start date are required to apply the percentage of completion method for alternative minimum tax purposes. Although the alternative minimum tax was repealed for C-Corporations, it was not repealed for pass-through entities that flowed down to the individual levels. Finally, the Tax Cuts and Jobs Act had little effect on research and development (R&D) credits that may be available to contractors. R&D credits are credits that can have significant tax savings. To find out if your company qualifies for the R&D credit, please contact the construction team at Ryan and Wetmore. The following table provides additional federal tax information for 2019, as compared with 2018. Many of the dollar amounts are unchanged and some changed only slightly due to inflation. Peter Ryan, CPA, MBA (pryan@ryanandwetmore.com) and Jason Dudas, CPA (jdudas@ryanandwetmore.com) both specialize in the construction industry. For questions regarding the Tax Cuts and Jobs Act please contact Peter and Jason directly.